Leef USA: Have you ever run out of memory on your iPhone or iPad? It's the worst. Trying to quickly capture the perfect photo or download an app becomes next to impossible. 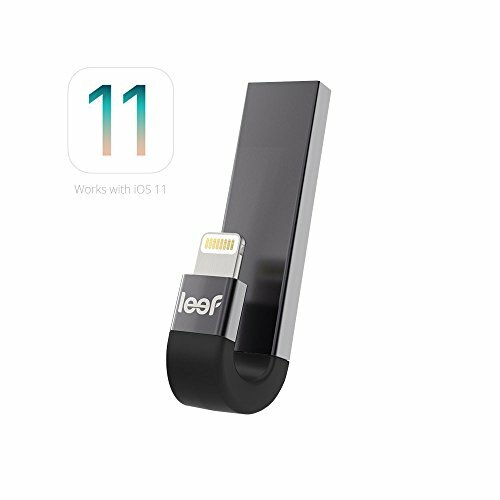 Leef iBridge 3 external iOS memory drive is a game-changer, empowering users to go do more by freeing up space on their iPhone & iPad.Leef iBridge is the original iOS mobile storage solution designed to easily expand the storage capacity on your iPhone, iPad, and iPod without ever worrying about deleting memories again. Available in 16GB, 32GB, 64GB, 128GB and 256GB. Warranty: 5-year limited warranty.